Save time—ditch manual data entry on a spreadsheet to save time and avoid errors. Cut costs—spend less money on accounting tasks, reduce labor costs, and improve your ROI. Gain visibility into your financial landscape—get a detailed snapshot of your finances to make better business decisions. Keep your financial information safe—use a cloud-based accounting app and reduce the risk of data loss. But how do you know where to begin when choosing the right accounting software for your business? Read on to learn about our picks for 2018’s best small-business accounting software and apps. 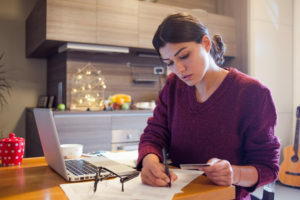 Find Your Money—and Keep More of It If you’ve ever thought, “I know I made money. . .but I can’t find it,” you should be working with Better Accounting. Xero, a cloud-based, full-featured accounting software and app, is our best overall choice for small businesses. Affordable pricing plans jam-packed with time-saving features, award-winning customer support, and unlimited users are just a few of the advantages Xero offers. With all of Xero’s plans, you can send invoices, track time and expenses, sync with bank accounts, manage inventory, pay bills, create reports, track purchase orders, and more. Plus, Xero integrates with more than 600 apps, so it may streamline even more steps for you. Xero’s award-winning customer service team offers free, unlimited 24/7 customer support via email or live chat. They don’t have inbound telephone support, but they do provide outbound support at a customer’s request. Other available resources include a video tutorial library, podcasts, and training courses. Xero offers three pricing plans: For $9 per month, the Starter plan lets you send five invoices, five bills, and reconcile 20 bank transactions. With the Standard plan at $30 per month, you get unlimited invoices, bills, and reconciliations, plus payroll services for up to five employees. It’s important to note that other accounting software typically don’t include payroll services in their subscription price. It’s usually offered as an add-on; for example, QuickBooks’ payroll add-on services start at $39 per month plus a $2 per employee monthly fee. Save time by integrating Xero with apps you already use! 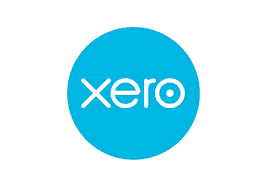 Like the Standard plan, Xero’s Premium plan doesn’t limit invoices, bills, or bank transactions, and you have the option of increasing your payroll services: $70 per month for ten employees, $90 per month for 20 employees, and $180 for up to 100 people. Xero also offers a 30-day free trial period, so you can take it for a test drive with no commitments. FreshBooks’ cloud-based software comes with time-saving features for small-business owners. FreshBooks nabbed the top spot for customers who need invoicing capabilities rather than a complete accounting software solution and one-person start-ups. With any of their pricing plans, you can send an unlimited number of invoices and estimates to your customers, accept credit card payments online, track time and expenses, and automatically sync with your bank account to get expense updates. Although FreshBooks is widely used, it costs more than the other accounting apps—the $10 monthly fee for each user can add up quickly. Also, it doesn’t have an inventory management feature, so if your small business needs that capability, you will need to find another accounting software solution, such as QuickBooks Online. FreshBooks has an iOS and Android mobile app so you can access your data, send invoices, and connect with customers on the go. However, reporting features are not available using the mobile app. FreshBooks offers three pricing tiers to choose from. The Lite plan for $15 per month works well for small businesses with five or fewer clients. The most popular plan, FreshBooks Plus, comes in at $25 per month and allows you to bill up to 50 clients. Extra features in this plan include setting up automatic payment reminders, charging late fees, and scheduling recurring invoices. The Premium plan is priced at $50 per month, and you get the same features that are in the Plus package and can bill up to a whopping 500 clients. FreshBooks also has a monthly add-on feature of $10 per person, which may come in handy if you need to add team members to help manage your projects. As a bonus, you can save a few dollars by purchasing a yearly plan. If you aren’t ready to pull out your credit card and make a commitment, you can take the app for a 30-day trial run. On their website, FreshBooks boasts over 10 million users to date and brags that the average customer saves 16 hours per month. QuickBooks Online, a cloud-based version of the well-known Intuit QuickBooks software, offers small-business owners a number of tools and features. You can create customized invoices, accept credit card payments, track your income and expenses, and manage accounts payable and accounts receivable. QuickBooks Online Simple Start, Essentials, and Plus plans come with a 60-day money back guarantee. There are no contracts or commitments, and customers can upgrade their plans whenever they want. One notable exception: if you choose the Self-Employed plan, you can’t upgrade to any of the other three plans. Choosing one of the others may be a better option if you’re planning to hire more employees and anticipate needing more advanced features as you expand your business. The QuickBooks Self-Employed plan, limited to one user, comes in at $10 per month and works best for freelancers and other small businesses that are sole proprietors. You can manage invoices; accept credit and debit card payments; track miles, income, and expenses; and run financial reports. The Simple Start plan, priced at $15 per month, gives solo users the same features as the Self-Employed plan but also allows you to send estimates and track sales and sales tax. The Essentials plan for $35 per month supports multiple users and includes bill management, time tracking, and an accounts payable feature. QuickBooks Online Plus for $50 per month offers the same features as the lower-tiered plans, plus inventory tracking. This is our choice for the best accounting software for small businesses that need advanced inventory management capabilities. With QuickBooks Online Plus, you receive automatic updates, low-stock alerts, and tracking for specific products. Inventory is managed in real time, so you won’t have to guess when it’s time to reorder your popular items. The Simple Start, Essentials, and Plus plans offer an Enhanced Payroll feature as an add-on for $39 per month plus $2 per employee per month. Users can also add on a Full Service Payroll feature for $99 per month plus $2 per employee. Please note: QuickBooks Online is currently offering promotional pricing of 50% off their plans and add-ons. With this web-based accounting app, you need only an internet connection and a browser to run your small business from anywhere, at any time. Wave stores and automatically backs up your data safely in the cloud, so you don’t have to worry about losing crucial information when your internet goes down. Freelancers get unlimited invoicing for an unlimited number of vendors and customers. You can track your income and expenses, scan receipts with your iPhone or Android device, connect your bank accounts, create financial reports, and more. It’s important to note that Wave Financial’s accounting app has a few limitations, especially compared to Quickbooks Online. 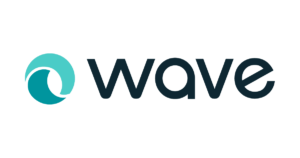 Wave doesn’t track inventory—one of the reasons why we recommend this product for service-based small businesses. Also, you can’t track your billable hours, which can be a problem if you want to link hours to specific invoices. Another hurdle that can frustrate small-business owners? Wave only offers customer support via email. So if you’re used to getting help from a live person, the Wave accounting app may not be right for you. Wave’s 100% free accounting software is reason enough for us to recommend this product for any small business. There are no hidden costs, setup fees, customer support fees, or any other surprise expenses. It’s worth noting that Wave’s free accounting app doesn’t include payroll services. However, small-business owners in California, Florida, New York, Texas, Illinois, and Washington can add this feature for a monthly fee of $35 plus $4 per employee. For all other states, the monthly base fee is $20 plus $4 for each employee. If Wave Financial is the right fit for you, you’ll want to pony up the extra cash for a service as essential as payroll. GoDaddy Online Bookkeeping is an easy-to-use bookkeeping app recommended for small-business owners with little to no accounting knowledge and experience. This bare-bones, no-frills app is a simple bookkeeping tool rather than full-fledged accounting software. GoDaddy’s Online Bookkeeping Essentials and Premium plans can also help you when tax time comes around. Their bookkeeping app automatically populates your Schedule C worksheet, so it’s ready to go to your accountant. This feature also estimates tax payments and sales tax. One note of caution: GoDaddy Online Bookkeeping plans support only one user. If you’re planning to grow your business and hire additional employees, GoDaddy may not be the best choice for you. GoDaddy Online also doesn’t use double-entry bookkeeping, so if you manage a growing business that needs to create comprehensive financial statements and reports, you may want to consider a more advanced accounting solution, such as QuickBooks. GoDaddy Bookkeeping is simple and cheap—pricing plans start at $3.99 per month. You can create and send invoices automatically, accept credit and debit cards payments on your mobile device, track your mileage, and run a current year-end business report. GoDaddy is cloud-based, so there’s no software to install or update, and it has mobile apps for both iPhone and Android users. If you need access to unlimited business reports and tax worksheets, GoDaddy’s Essentials plan starts at $7.99 per month. With this plan, you can sync with all of your business accounts: banks, credit cards, Amazon, PayPal, Etsy, and eBay. With GoDaddy Online Bookkeeping Premium for $11.99 per month, you’ll have access to its recurring billing feature. You can automatically send invoices to your regular customers without lifting a finger. Zoho Books works well for bookkeeping, invoicing, expense tracking, and more. With its client portal feature, you can easily connect with each of your customers to share price quotes and estimates and receive payments. Zoho Books plans start at $9 per month for two users, and you can add additional users for $2 per month. If you need an app to track inventory and create purchase orders, Zoho offers a professional plan for $29 per month. Snap a photo of receipts using the mobile app. Email receipts to a unique Shoeboxed address. Shoeboxed technology scans the receipts, turns them into digital files, and automatically files them for easy access. Pricing starts at $15 per month, and Shoeboxed syncs with many of the top accounting software we recommended here, including QuickBooks, Wave, and Xero. Consider AccountEdge Pro if you’re looking for a subscription-free small-business accounting solution. The software is a full-service, double-entry accounting software for Mac or Windows desktop or laptop computers and includes invoices, payments, purchases, payroll, and inventory. The software also syncs with the AccountEdge Mobile app for iOS, so you can manage your accounting details on the go. AccountEdge Pro requires a one-time fee only, with the basic software priced at $149, and you start with a 30-day trial. Sage One’s cloud-based bookkeeping and accounting software lets you create invoices, track customer billing and the amounts owed, and more. The app automatically syncs with your bank account and provides real-time data. If your small business employs contractors, the Sage One Start plan for $10 a month allows you to create 1099 forms easily. Sage One plans don’t offer any payroll services features. With Express Accounts by NCH Software, you can perform basic accounting tasks such as invoicing and tracking bills and payments. Small-business owners will find, however, that this bare-bones accounting application falls short in a few areas. It doesn’t have payroll or time-tracking features, bank account integration, or a mobile app. OneUp accounting software is used for invoicing, creating purchase orders, and tracking inventory. However, it’s not a good choice for small businesses that need payroll capabilities. Furthermore, if you’re a Mac user, you’re out of luck. Yet another drawback? The one-user Self plan for $9 per month doesn’t include customer support. In the plus column, they do offer a 30-day free trial period. With Kashoo, a simple online accounting tool, you can create and send invoices, track your expenses, set up credit card payments, and generate basic financial reports. Kashoo does have an advantage compared to the other accounting software providers we researched: it offers “forever-free support from real humans” via phone, email, and chat. Its basic plan starts at $16.65 per month, and it offers a 14-day free trial period to get up and running. Still confused by financing and accounting software? To clear things up, we’ve answered a few of the most commonly asked questions about accounting apps. Do I really need financial reporting for my small business? Some small-business owners have silent partners and stakeholders to answer to. Detailed financial reports can be important because they give investors a snapshot of where their money is going and how a business is doing financially. If this describes your situation, you need accounting software that creates balance sheets, profit and loss statements, cash flow statements, and other documents to include in your annual report. Which small businesses should use accounting apps? All small and medium-sized businesses can benefit from accounting apps, no matter how many employees there are. Accounting software can easily save you hours and hours of time with automated reporting, expense tracking, and invoicing—not to mention all the other useful features. And don’t put off the investment—small to midsize businesses benefit from having business profit, revenue, and expenses in line sooner rather than later. Accounting apps can save you a lot of time and headache as your company grows. When should I consider outsourcing or hiring a specialized employee for accounting services? With how capable accounting apps are, will you ever have to rely on a professional accountant? Believe it or not, accounting software can only do so much. Your business could outgrow all those handy features and services. When you no longer have time to look over automated reports and keep an eye on the finances, it’s time to invest in an outsourced or in-house accountant. Accountants can oversee the finances and handle reports, invoicing, and other financial tasks. And if you need to make a costly decision, they can tell you what you have the budget for. The right accounting software can make your life easier. It can save you time and money, and it’s a lot more efficient than manual bookkeeping and spreadsheets. An accounting app can free up your time and let you focus on more important things, like interacting with customers and growing your business. QuickBooks is the best accounting software for small business. It user-friendly and easy to access. We also use this software for bookkeeping outsourcing work.